Below are the rules for the Disney Trivia board game. You'll notice that some of the rules resemble rules for other trivia board games like Trivial Pursuit or Scene It?. The Wonderful World of Disney Trivia board game is pretty easy to set up and even easier to play, especially if you watch Disney movies or follow Disney lore even a little. Each player picks a token to represent them on the board. Youngest player goes first and rolls the die. A player lands on a color spot and is asked a question from the category. The categories are Animation, Personalities, Song, Film, and Mousellaneous. There are two sets of cards: one for adults and one for children. The game is made for ages six and up. If the question is answered correctly, then that player gets a mouse-ear (as opposed to a wedge like in Trivial Pursuit. If the question is answered wrong, then play goes to the next person. 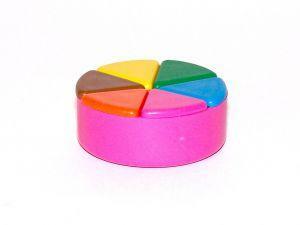 When a player fills the token, then they must get to the end and answer one last question. As you can see, the rules are basically the same as Trivial Pursuit. If you are unclear about any of the rules for Disney Trivia board games, then check out the Disney forums. The topic headings may not be the easiest things to figure out, which is why doing a search on the forum will elicit the topics pertaining to Disney trivia games. The forum states that it is for general information about their trivia games, but you will find posts about movies, theme parks, toys and almost anything else relating to Disney. The forum population is high in numbers so even if you don't find an exact answer in an exact topic, posting your questions should see a number of replies. You do need to sign up for an account to post topics. What About Your Own Rules? For the game that adds mouse ears for each correct answer, start with your token full and work backwards. You have to answer correctly to keep the mouse ear. For each incorrect answer, one is taken away. As players whittle down to zero mouse ears, they are eliminated. The last person with mouse ears left wins the game. For the same trivia game, everyone gets to answer the question, no matter who landed on it. Whoever answers correctly gets the mouse ear. Make sure you have some kind of noisemaker or buzzer-type device to determine who chimed in first. Play a game similar to "make it-take it" in basketball. This works best if you play a Disney trivia game where you must get from start to finish first. Players attempt to answer questions. If they get it right, they move their piece ahead and continue to answer questions until they get one wrong. Then, play moves to the next person. Most Disney Trivia board games have rules that are easy to pick up and play. But if you happen to lose to rules and it's been a while since you've played the game, try searching online or even attempt to generate your own rules. Who knows, your version could be better!